Who wants to go out and celebrate with us?!?! We are so excited to announce that WindsorEats has been nominated as a finalist for 3 provincial awards! The Tourism Industry Association of Ontario (TIAO), the Ontario Tourism Marketing Partnership Corporation (OTMPC) and the Culinary Tourism Alliance (CTA) announced finalists for the 2016 Ontario Tourism Awards of Excellence. These awards are a celebration of success and an opportunity to recognize those who have made significant contributions to Ontario’s tourism industry. This award recognizes an Ontario organization or business that delivers an authentic consumer experience, showcasing Ontario food and beverage to all visitors. 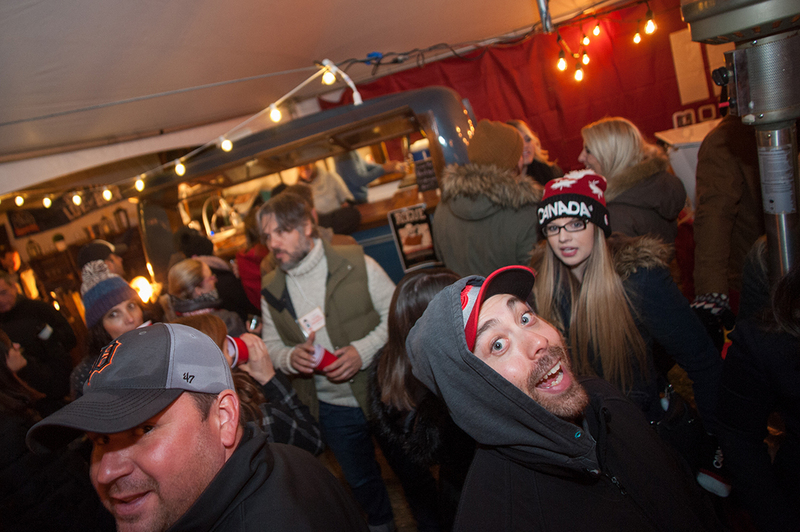 It’s always a fun time on the Drinks of Walkerville tour! 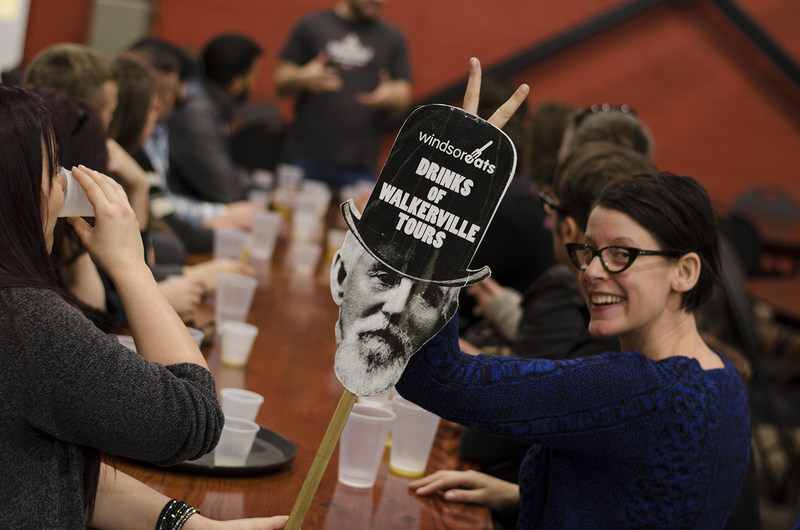 The Drinks of Walkerville walking tour celebrates the history of Hiram Walker, distilling, brewing and neighbourhood of Walkerville. The tour has already been named an Ontario Signature Experience, a designation used to promote quality, authentic Ontario experiences to tourists. Guests jaunt through historic Old Walkerville, the town that Canadian Club built, and learn about its architecture as well as some well known and not so well known tales and folklore associated with the neighbourhood, including its rich rum running history and visits by Al Capone. Tour goers also sample cocktails and flights of whisky, beer and bourbon. To view the full length video, click here. It’s a must watch. We’re very proud of the product we’ve created with the Drinks of Walkerville tour. We’ve taken parts of Windsor’s history, architecture and flavours and combined them into an exceptional tour that celebrates what makes our region unique. Presented by the Tourism Industry Association of Ontario this award recognizes an organization or individual that created a new innovative product, policy or service to promote and enhance tourism in their local community, region or the province of Ontario. The WindsorEats Traveller is an attraction all on its own….and it’s a full service bar, to boot! 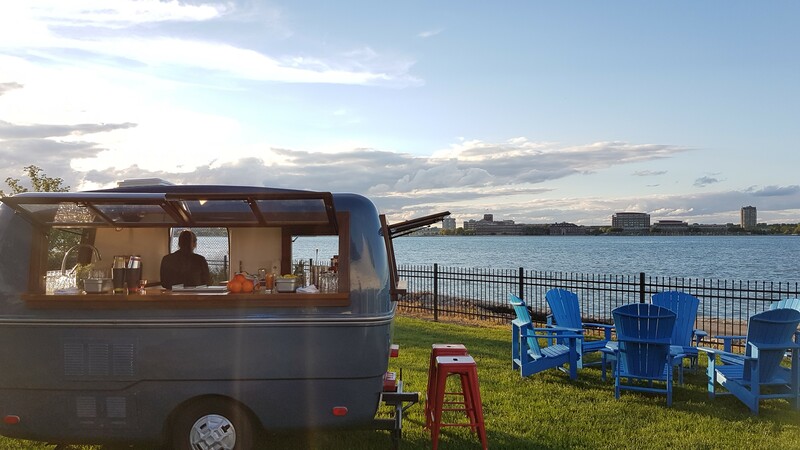 Part of the reason for the nomination was the WindsorEats Traveller, a vintage 1973 Trillium trailer that has been converted into a mobile bar. It allows us to bring the beverage products of Windsor-Essex across the province and beyond to promote Windsor and Essex County as a must try culinary tourism destination. People flock to be served by the Traveller. Instead of going to shows to solely hand out flyers promoting our provincial and national award winning Wine Trail Rides, our Bikes & Beers cycling tours and our Drinks of Walkerville tour (which was named an Ontario Signature Experience), WindsorEats brings the Ontario made, local products tasted on those tours to the people across the province and beyond. The Traveller has allowed us to increase and enhance the interaction we have with potential customers at food and drink shows across the province. Presented by the Tourism Industry Association of Ontario this award is given to an individual who embodies the spirit of tourism in Ontario. If you know Adriano, then you know his passion and commitment to promoting and marketing Windsor and Essex County as, not just a culinary tourism destination, but a great place to live and visit. Adriano’s efforts to promote the region don’t rest solely within WindsorEats. He is a currently member of the Board of Directors of Tourism Windsor-Essex Pelee Island as well as the Southwest Ontario Tourism Corporation (RTO1). Being named a finalist in these 3 categories go a long way in highlighting the leadership we’ve displayed in the Windsor-Essex culinary and tourism industry over the last 12 years. It is an absolute honour to be recognized by our industry and help to continue shining a spotlight on our region.